Gold Bond Body Powders that contain talcum powder may increase the risk of ovarian cancer in women. Before the 1970s, talc was contaminated with asbestos, a substance known to cause mesothelioma. The Schmidt Firm, PLLC is currently accepting Gold Bond Medicated Powder induced injury cases in all 50 states. If you or somebody you know was diagnosed with cancer, you should contact our lawyers immediately for a free case consultation. Please use the form below to contact our Product Liability Litigation Group or call toll free 24 hours a day at (866) 920-0753. Yes. 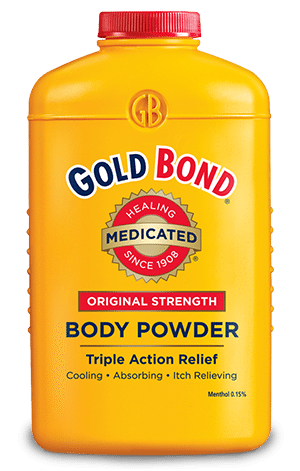 Talcum powder is the main ingredient in Gold Bond Medicated Powder. However, Gold Bond baby powder contains cornstarch rather than talcum powder, unlike Johnson’s Baby Powder. In November 2014, the husband of a woman who died of ovarian cancer filed a lawsuit (PDF) against Chattem, Inc., the manufacturer of Gold Bond, as well as Johnson & Johnson and Imerys Talc America. The lawsuit was filed on behalf of Janice Chakalos, a woman who used a variety of talcum powder products for feminine hygiene. She died of ovarian cancer at the age of 63 in 2012. Her husband accuses the product manufacturers of failing to warn about evidence linking talcum powder and ovarian cancer. He says she never would have used talc if she had known the risks. The lawsuit was filed on November 5, 2014 in the Superior Court of New Jersey (Somerset County) — In RE: James Chakalos vs. Johnson & Johnson, et al. — Case No. 3:14-cv-07079. Before 1976, a lot of talcum powder products that were sold in the United States were highly contaminated with asbestos. Talc is a super-soft mineral that is very similar to asbestos and they are often found together in the same places underground. Asbestos is a known carcinogen. Under a microscope, it looks like a bundle of tiny needles. Breathing asbestos causes mesothelioma, a rare and often deadly type of lung cancer in cells on the surface of the lungs. Ovarian cancer starts in cells on the surface of the ovaries. Talcum powder is asbestos-free, but studies associate it with ovarian cancer. Women who use talcum powder on their genital area are 20-30% more likely to develop ovarian cancer. Talc particles have been found in the ovaries of women with cancer since the 1970s. This proves talc is absorbed and travels through the reproductive system. Do I have a Gold Bond Lawsuit?